Library Building situated at Dehkan Garden, Adjacent to Malir River Bridge, Karachi. Our dream is an “Institute of Balochiology” founding Sayad Hashmi Reference Library (SHRL) is the initiating step towards this greater destination. The idea of establishment of library was first conceived by Shaeed Professor Saba Dashtiyari in the late 80s. He felt the need of a national institution, which would preserve all the published and unpublished materials on Baloch, Balochi and Balochistan for the future generations. To materialize the idea, he visited different parts of the world for collecting donations. Additionally, he continuously arranged several formal and informal meetings with educationalists, philanthropists, intellectuals and social workers. The first formal meeting was held on December 29, 2002 at Safie Sports Club, Baghdadi, Lyari, Karachi. The attendees decided to form an ad hoc committee which would be responsible for drawing general rules and regulation of the library. Moreover, a decision for construction of building of the library was also taken. It is worth mentioning here that the land for the building was provided by Mr. Azeem Dehkan from his ancestral agrarian fields. On December 31, 2003, the foundations of the library were laid at Dehkan Garden, Malir. The then caretaking President, Lala Lal Bakhsh Rind, laid the founding Stone of the Library. Simultaneously, memberships for the library were also opened for public. Later on, in the third meeting of the library, a unanimous resolution was passed, electing Lala Lal Baksh as the life time President of the library, this decision was taken in the light of the services that he rendered for community development. The library was inaugurated on March 13, 2005. And thus, the journey towards the destination of having an “Institution of Balochology” began. Since then, the library has become the focal point for researchers, scholars, and students working on Baloch, Balochi and Balochistan; this success was only made possible by the unrelenting and diligent hard work, sincerity and support of eminent Baloch intellectuals, particularly its founding father, Shaeed Professor Saba Dashtiyari and his team. It is a great honor for the library that it is the only and the first reference library on Baloch, Balochi and Balochistan across the world. 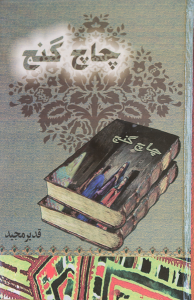 Additionally, it has repository of all rare Balochi periodicals. According to a report of BBC Urdu, it is one of the uniquely great libraries present in Asia. To materialize the yet-unachieved dream of late professor Saba Dashtiyari regarding the Publication of Encyclopedia of Balochistanica. Progressive nations always keep and preserve their languages, literatures and cultures. SHRL contributes greatly in these fields. The revolutionary step of SHRL is introducing Balochi language classes in private schools of Makoran and other part of Balochistan. It is to be noted that Balochi as a subject, was not taught both in public and private schools prior to this initiative. The idea of teaching of Balochi language was unanimously approved during a two-day seminar held in Turbat, Kech, in April 2010. There, principals and administrators of schools agreed that they would introduce the Balochi subject from basic to class eight in their respective schools. Soon in the same year, the text books for “Nursery, K.G and class one” were authored. The responsibility for publication of these text books was entrusted to the SHRL though it was supported financially by Private Schools Association of Kech, Panjgur, Gwader and Hub. It reflects the Baloch nation’s trust and its expectations on the library. These text books were later on recognized and introduced by the Swedish Government in the Baloch populated areas of Sweden. 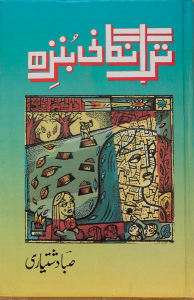 Moreover, school managements of Awaran, Noshki as well as different schools in Eastern and Western Balochistan also included these books in their school curriculum. This indeed is a historical step for the progress of Balochi language and literature in the long run.